Happy Monday, guys! :) Hope you're having a good start to your week so far! Yay, it only took some 300 pages to find out what 'urgent business' Mike and Jinn went to see Zinala for. XD;; But now, we know! Sort of. More answers, more questions, I know... but hopefully we'll get to the point we pull the threads nice and tight so it all gets tidier as we go. I hope! Kurumi is a kitty my sister rescued; she is paralysed from the waist down. Good news: her surgery fees have been covered via Korean donations! 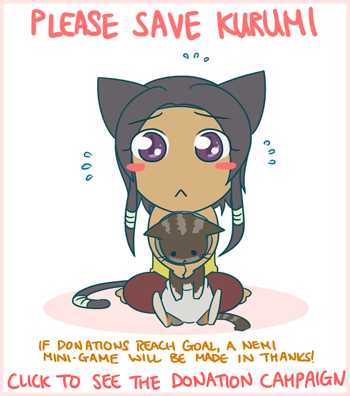 :D Now, the funds left to collect are for Kurumi's rehab and homing situation. You can see videos of Kurumi going through rehab and generally being lovely on her Facebook page. If you could like the page and continue to help spread the word to help raise funds for Kurumi's rehab, that would be so helpful and amazing. Thank you! Alright, that's it from me for now. See you guys on Wednesday! Where Is Zinala now anyways? Working to cure this last we heard but it wouldn't take much effort to have her tracked down by this time. 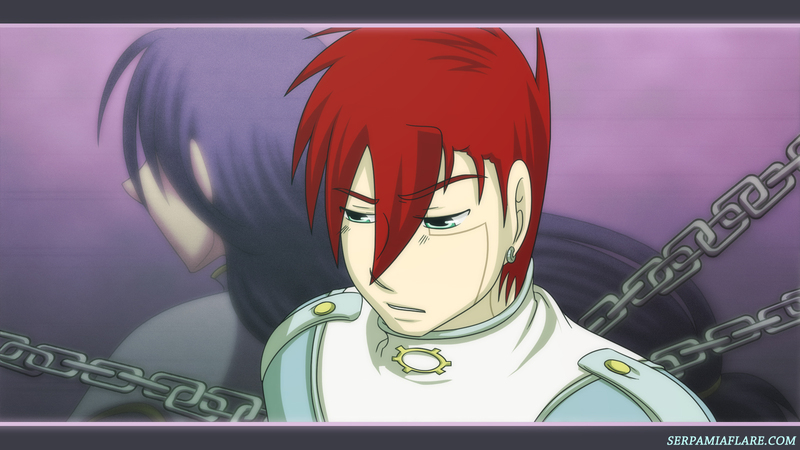 Ahahaha XD poor Cain, it probably does hurt a little! Jeez...Abel really does have a nasty band of jerks. I'm very blessed with such a lovely readership ;3;* thank YOU guys so much! Truth be told though: Only one of those we've seen so far has proven to be actually evil at heart. Maybe being ebil *is* their whole shtick XD so like, whenever they have meetings, they're just brainstorming ways to be ebil, like Leela goes "Abel, what do you think about putting rocks instead of chocolate chips inside these cookies?" and he goes like "GENIUS write that down"
So, just letting you know, that 6th panel with Micheal is excellent! I really like the entire page... but that 6th panel! So epic! I can't wait til next page!!! Abel, Abel, what is your deal? Speak your mind so you might reveal! I like the 5th panel. It's a sad scene, but the perspective lets the readers know alot. These Leela faces are going to continue to haunt me... O_O So ebil. That 5th panel hurts my poor widdle heart reserved for sad moments like this ;3; That's so horrible. *raises pitchforks at Leela* BURN THE WITCH! The comic is very pretty, I like the clean line art! However, I have no idea where anyone, or anything, is in relation to each other. They're just floating in space and it devalues the tension in fights. But your art has improved a lot, keep up the good work! Thanks, TimeMerc!! :) I appreciate the honest feedback. I'm aware of this particular weakness, and I am trying to work on it as I go. It's good to continue to keep it in mind! May I suggest trying more ambitious shots? Or maybe doing some research on directing. Many shots are very nice, such as the panel with the horse on this page. Others feel odd in perspective because the perspective is the same old shoulder perspective. In other words, the shot with the horse is amazing. Aww, thank you! :) I'm glad you like that shot.